Father’s Day is coming up on June 17 this year, and I have the perfect gift for my husband from me! 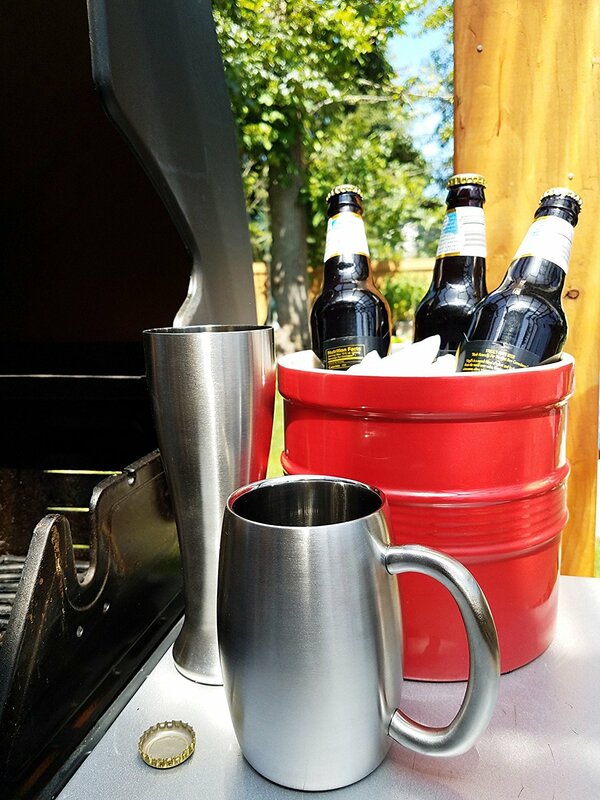 Solid, sturdy and SLEEK, the Endurance® Double Wall Beer Mug from RSVP International is a rust-free, high quality 3″ diameter x 6″ H, with a 15 ounce capacity mug just for dad. Keep your beer (or ROOT beer!) nice and frosty with this non-breakable double wall beer mug. The air pocket created by the 18/8 stainless steel double wall keeps cold drinks COLD and hot beverages HOT without any condensation. The 15 oz. 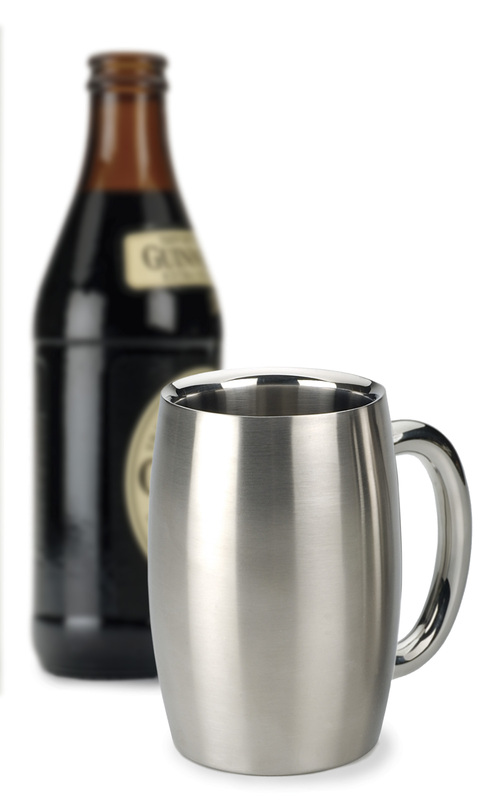 capacity mug has a lustrous brushed exterior and polished interior and a large comfortable handle. The mug is dishwasher safe and ideal for poolside, travel, boating, picnics and our favorite – CAMPING. Cheers to dads! About RSVP International: Headquarters in Seattle, WA, RSVP is a wholesale supplier of quality kitchen basics and gadgets. Their ENDURANCE® brand features products made of stainless steel for sustainability.